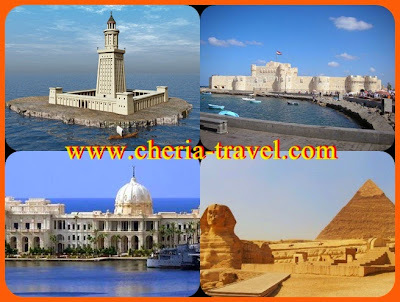 This time the destination reference Cheria Travel to the city of Alexandria in Egypt. 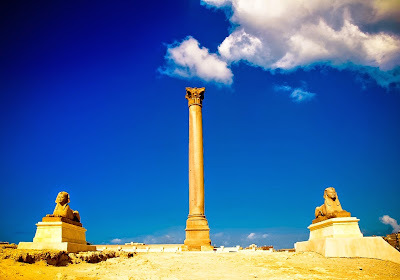 Enjoy a tour in Egypt with every kind of tourist spot, one of them there are in the city of Alexandria. 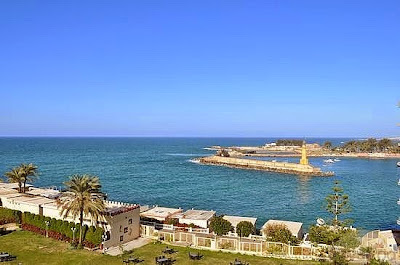 In addition to viewing historic building, in the afternoon you can enjoy the atmosphere on the beaches of Alexandria and the Mediterranean Sea is a romantic. One of the tour in the Egyptian city of Alexandria is Egypt's second largest city, located at 225 km from Cairo. Has a beautiful beach and a very unique historical relics. The city is right on the edge of the Mediterranean Sea. There are many tourist attractions such as the Bibliotheca Alexandrina, or Maktabat Al Iskandaryah in the Arabic language. This place is the library and the main cultural centers in Egypt. There are many books and relics of the past from various countries. Other places that Montanzah Palace. This place was built by Caliph Abbas II. In the Montazah Palace are Palace Al Haramlik becoming the largest palace there. Palace Al Haramlik has two towers and an open space on each floor, you can see the beauty of the sea from there. 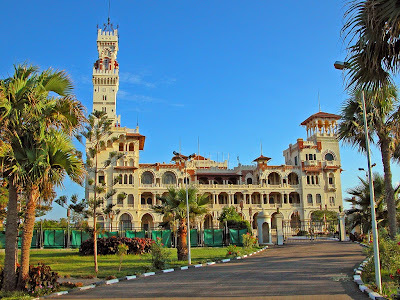 Now, one of the buildings there are Salamlek Palace became the official residence of the president of Egypt. The Al Montanza Park is a royal park covering an area of ​​61 hectares, into a beautiful tourist spot. Turkish Alexandria is a very famous place there and close to the Mediterranean Sea. The beach is a tourist destination is very romantic, especially when seeing the sights sunsetnya. Other tourist attractions are the Roman Amphitheatre, Pompey Pillars, Alex Shipyard Tourism In Egypt, Alexandria City, Alexandria Coast, other Mediteraniadan Sea. If you want to enjoy the culinary there, a variety of restaurants with tasty menu choices. Abu Fares Syrian Resto is one restaurant in Gamal Abdul Nasser Street is a favorite. In addition to their menu of kebabs and sawarma, the restaurant serves a delicious dish with jumbo portions. If you want to enjoy a traditional menu of Egypt, you can visit the restaurant Abou Rabia. There are flavored falafel sandwich the Middle East. In addition to the restaurant there is also a tourist spot in Egypt, especially in the city of Alexandria to visit. Let 's waiting immediately contact the Travel Cheria that will make your holiday fun, you can arrange trips according to jatwal you have. Come on an adventure!